Daghestan, Chechnya, Ingushetia, Ossetia are synonymous of a enchanted landscapes, ancient fortresses and rare natural beauties. An adventure to savor the wonders of these uncontaminated places, in contact with tradition and local people, for a unique experience. The North Caucasus, theater of natural gorges, waterfalls, fords, natural slopes, will give us the feeling of going back in time, at the time of the Soviet Union. The Caucasus also represented a literary inspiration for one of the masters of the historical novel and romantic theater, namely Alexandre Dumas. The vicissitudes of this trip will be included in the volume "Le Caucase". The boat experience on the waters of an area where visitors are not allowed, without prior authorization, is inevitable. Here you will feel the sensation of being in a magical place, one of the most isolated places in the world. 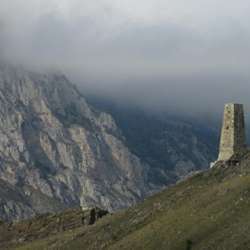 Along the entire journey, there will be ancient towers scattered in the mountains, as well as famous villages, the birthplace of chechen independence movements in the 90s. A sensational stop will be on Mount Elbrus, the highest mountain in Europe thanks to its Protected content .